Bring encounter and discipleship to life for youth! Use a new pastoral tool to help teens know and grow in their personal relationship with Christ. 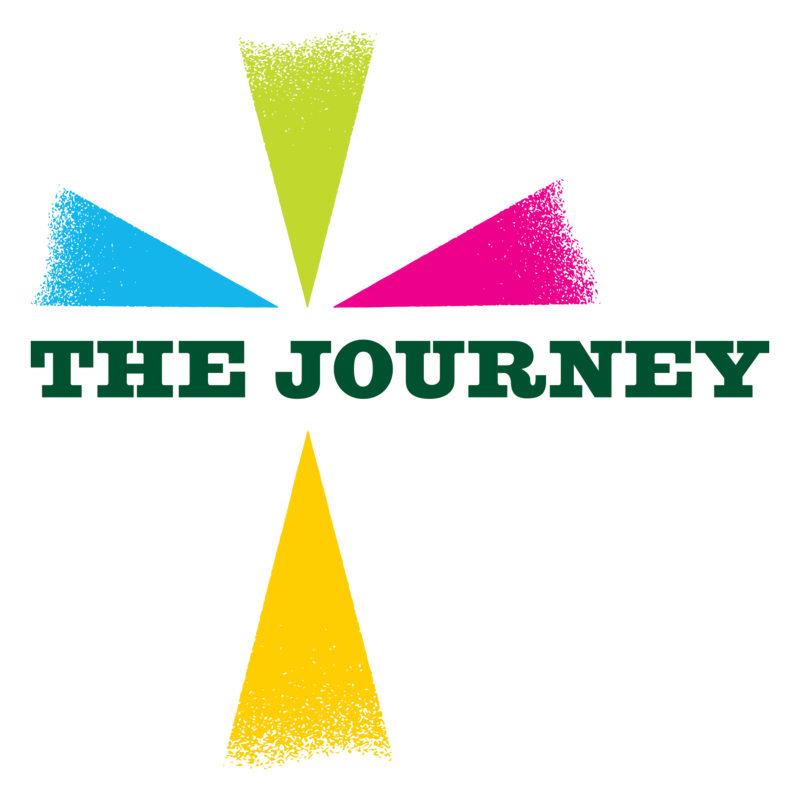 We’re excited to announce the Youth component of The Journey – perfect for helping teens in your parish grow in their relationship with Christ and each other. As students get ready to head back to school, parishes are busy planning for their Religious Education and outreach programs. Let The Journey transform the experience of our youth. Are the teens in your parish growing into disciples of Christ who will be willing to jump into the game? Help them to grow in understanding and relationship through The Journey! 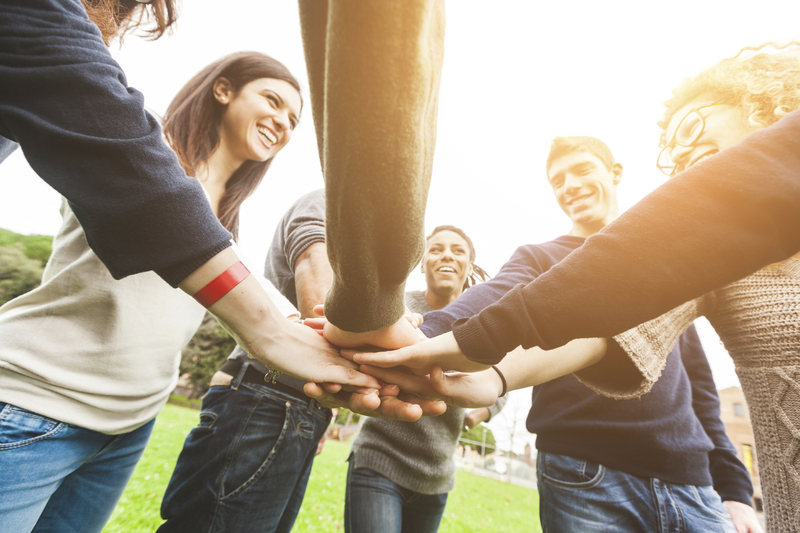 Teens meet each week in small groups where they will experience something different. Through sharing, prayer, video, and community youth can experience Jesus in a new, direct way. 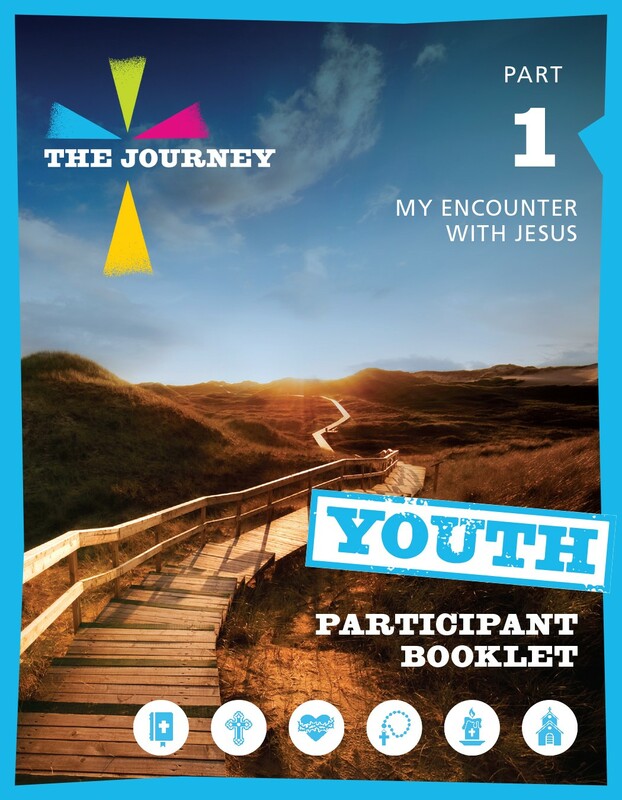 The Youth Booklet has been specially designed to foster sharing and growth. The video experience makes the Gospel come alive for teens. 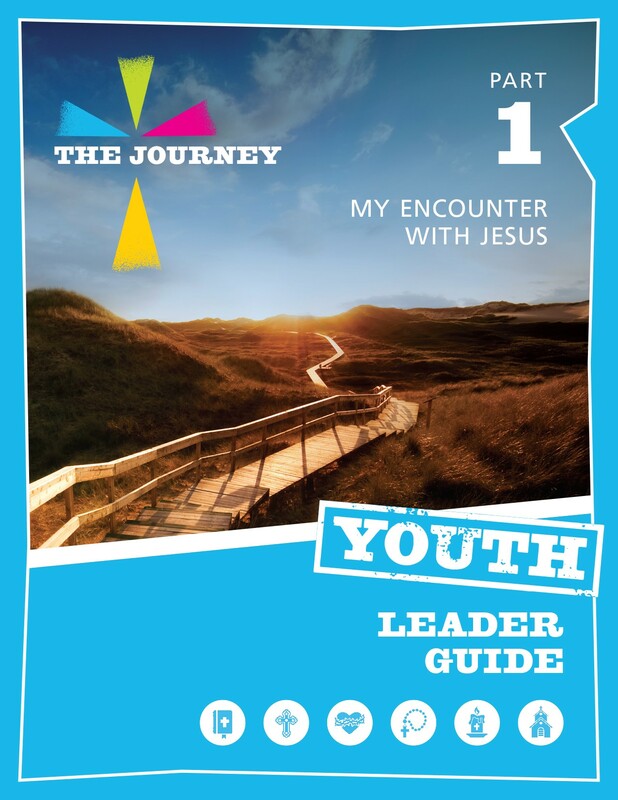 The Youth Leader Guide will make the process easy for parish leadership and youth ministers! Order today to help the love of Christ grow in the youth in your parish! View a sample of Session 5 from Part 2, “Jesus, Host of Meals” here! Call 1.800.435.7116 to place your order over the phone!